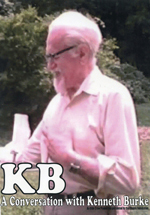 Kenneth Burke was fascinated by psychoanalytic theory and the work of Sigmund Freud. Burke believed that one of the tasks of the critic was to revise Freud’s terms in order to advance the interests of the literary critic. This essay furthers Burke’s psychoanalytic tendencies by suggesting a theory of the unconscious grounded in the Lacanian extensions and alterations of Freudian theory. This essay argues that Lacanian scholarship on the unconscious offers a descriptive update to the “dramatistic dictionary” that decreases the vagueness of Burke’s lexicon about the unconscious. The reading of Freud I find suggestive almost to the point of bewilderment. Accordingly, what I should like to do would simply be to take representative excerpts of his work, copy them out, and write glosses upon them. Very often these glosses would be straight extensions of his own thinking. At other times they would be attempts to characterize his strategy of presentation with reference to interpretive method in general (Burke, 1957, p. 221). Burke suggested that Freud’s methodology should have a profound effect on the literary critic. He noted that “the Freudian perspective was developed primarily to chart a psychiatric field rather than an aesthetic one;  but since we are here considering the analogous features of these two fields rather than their important differences, there would be glosses attempting to suggest how far the literary critic should go along with Freud and what extra-Freudian material he would have to add” (Burke, 1957, p. 221). There are at least two important things to note in relation to these praises of Freud’s work. First, Burke was heavily influenced by Freud’s writings. By his own admission, Burke wished to take certain fragments of Freud’s works and make them a direct part of his own work. Second, and perhaps more important than these praises, Burke demonstrated his reluctance to accept the totality of Freud’s work (and/or at the very least, he thought Freud’s works were incomplete). With such thinking, Burke worked with and against the Freudian terminology. Specifically, Burke worked within the Freudian lexicon and offered “better terms” in his dramatistic theory of rhetoric. Of course, the only way to examine the Burkeian concept of “better terms” is to explore the ways Burke both distanced and connected his dramatistic theory with Freudian psychoanalysis (and the unconscious). Unfortunately, few scholars have undertaken such an investigation. O’Leary and Wright (1995) provided one of the only pieces of work to systematically examine Burke’s Freudian tendencies. The fact that this article was written more than ten years ago gives testimony to the neglect of scholars in further interrogating Burke’s Freudian connections. Even more telling, according to O’Leary and Wright (1995), is that while numerous studies since 1963 mention Freud in relation to Burke there is no study that mentions or has more than a couple sentences about the connection. O’Leary and Wright (1995) explained that such a gap in the research ought to be interrogated in an attempt to comprehend at least two of Burke’s most important innovations—“his expansion of rhetoric to include Unconscious factors in the production and reception of discourse, and his substitution of ‘identification’ for ‘persuasion’ as the master term for the rhetorical process” (O’Leary and Wright, 1995, p. 104). They argued that these two innovations can be traced directly to Freud. Although O’Leary and Wright (1995) made important connections between Burke and Freud, there are many connections that remain underexplored. This is surprising given Burke’s continuous mention of Freud’s influence on his dramatistic theory. For example, Burke (1957) discussed in Philosophy of Literary Form the centrality of Freud’s influence in the conflict that exists between conscious and unconscious factors—that this conflict is an internal private drama that is directly related to the outward public drama. Moreover, Burke mentions Freud in nearly every concept that rhetorical scholars have employed in rhetorical criticism. Specifically, Burke (1957; 1966; 1968; 1969a; 1969b; 1970; 1984a; 1984b) mentioned the Freudian influence on the following concepts: rationalization vs. analysis, comic frame, audience persuasion, cluster criticism, surrealist ingredient in art, purposive forgetting, proportional strategy, matriarchal symbolizations, prayer and chart in literary criticism, occupational psychosis, scapegoating, perfection, terministic screens, the negative, the guilt cycle, beauty and sublimity, original sin, motive, and identification. Burke used all of these terms in his analysis of rhetoric and language. This essay begins with a more modest goal than interrogating each of these connections between dramatism and psychoanalysis. The purpose of this essay is to follow Burke’s suggestion of revising Freud’s terms by beginning with the idea of the unconscious. This essay will further Burke’s initial objective by: (1) explaining Burke’s own revision of Freud’s terms and their impact on his theory of dramatism, and (2) offering revisions to his ideas of the unconscious based on Jacques Lacan’s alterations and corrections of Freudian thought. This essay argues that Lacanian scholarship on the unconscious offers a descriptive update to the “dramatistic dictionary” that decreases the vagueness of Burke’s lexicon about the unconscious. The reason for a move toward Lacanian scholarship is that Lacan has made significant alterations and extensions to Freudian psychoanalysis. While Burke began writing earlier than Lacan, both writers were at work simultaneously between approximately the 1950s through the 1970s. However, they both failed to mention each other explicitly in their writings. In the years since Burke quit writing, rhetorical scholarship (Biesecker, 1998; Gunn, 2003; Gunn, 2004; Lundberg, 2004) has attended to the work of Lacanian scholars in an attempt to articulate a theory of subjectivity as it relates to rhetorical phenomena. Lacan’s insight is important to the study of the unconscious as the location of that which is repressed in human drama. Zupančič (2003) argued that psychoanalysis offers the ethical regime of modern culture because it forces us to confront the limits of desire in our capacity for moral courage. What Lacanian scholarship has to offer is an articulation of an ethics of motives in the dramatistic lexicon that forces dramatism to confront the limits of desire in our capacity for moral courage. Articulating the Lacanian alterations and corrections to the Burkeian unconscious is a necessary step in that direction. In order to accomplish such a task, this essay is divided into three sections. Section one will examine the specific mentions of Freud and the unconscious in Burke’s work in order to discern Burke’s theorization of the unconscious. Section two will present a Burkeian and Lacanian influenced concept of the unconscious as part of the human psyche. Section three will survey Lacanian clarifications to a couple of the observations that Burke made regarding the examination of the unconscious in the psychotherapeutic technique. For Freud, the unconscious exists in the form of an adjective and a noun. As an adjective, Freud defined the unconscious as “acts which are merely latent, temporarily unconscious, but which differ in no other respect from conscious ones” (p. 172). These acts, thoughts, or ideas are capable of being known and present no difficulty to the subject. Gunn and Treat (2005) argued that in the adjectival sense, “all rhetorical criticism trucks in the unconscious insofar as the point of criticism is to bring latent rhetorical elements into the conscious awareness of readers or hearers. Indeed, interpretation as such betokens the dialectic of the manifest and the latent” (150). In the form of a noun, the unconscious refers to a psychical topography whereby repressed materials (i.e., traumatic and/or guilty ideas, thoughts, desires) reside and continuously deny access to preconscious and conscious systems. Repressed material in the unconscious is not passive as is sometimes assumed. Rather, repressed material is constantly and ceaselessly attempting to re-enter consciousness (termed “the return of the repressed”), but can succeed in doing so only in disguise. Attempting to comprehend Freud’s ideas on the unconscious as they influenced Burke’s conceptualization of the unconscious in dramatistic theory is a tricky proposition. Cheney, Garvin-Doxas, and Torrens (1999) highlighted the tricky balance by noting that “Burke incorporates Freudian insights about the unconscious (see especially Rhetoric of Motives); he also considers unintended consequences of actions (see especially Permanence and Change). So, Burke is careful not to rest too heavily on either an Aristotelian consideration of ‘man’ as the rational animal or on a Machiavellian emphasis on strategy” (p. 144). Burke’s most systematic engagement with the works of Freud and the unconscious appears in his essay “Mind, Body, and the Unconscious” (Burke, 1966). In that essay, he attempted to form a sketch of the relationship between the unconscious and dramatism. Specifically, he noted that the “genius of the Freudian terminology” of the unconscious “leads beyond the specifically psychiatric analysis of symbolic action (the symptoms of sick souls) to thoughts on symbolic action in general” (Burke, 1966, p. 72). This section will describe these characteristics by performing a close reading of Burke’s “Mind, Body, and the Unconscious” to gain insights in his thoughts on the relationship between the unconscious and symbolic action. In other words, the crossing of streets may be a symbol/symptom of another action that was of great importance to the person who fears crossing the street. In this sense, Burke dedicates the entire essay to his thoughts on the unconscious, infusing Freud with his own understanding of the unconscious. After Burke noted the connection between symbolic action (as the basic Dramatistic action/motion distinction) and the unconscious in his essay, he turned to the connection between the “negative” and the unconscious. For Burke, the negative allows the establishment of commands or admonitions that govern the actions of individuals. Burke (1970) referred to these commands as the “thou shalt nots,” or the “do not do that’s” (p. 278). Moral commands such as the Ten Commandments are examples of the “thou shalt nots” that encompass the negative. The ability to distinguish between right and wrong are the consequences of the negative. According to Burke (1970), without the negative implicit in language, moral action, or action based on conceptions of right and wrong behavior (such as law, moral and social rules, and rights) would not exist. After his discussion of the negative in his essay, he canonized eight varieties of the unconscious in order to note the similarities and departures from the Freudian unconscious. The first kind of unconscious involves the “sheerly physiological processes of the body” (Burke, 1966, p. 72). This is mostly known in biological terms as the energy that works involuntary muscles in the body such as “growth, metabolism, digestion, peristaltic ‘action,’ respiration, functions of the various organs, secretions of the endocrine glands, ways in which elements in the bloodstream reinforce or check one another, and so on” (Burke, 1966, p. 67). Burke (1966) asserted that if we were specifically aware of all or some of these processes as some neurotics are sometimes aware of some visceral processes, “we’d be in a condition that, as judged by our present norms, would be little short of horrible” (p. 67). Then Burke differentiated this type of unconscious from the Freudian unconscious by drawing the distinction between “types” of repression. He argued that “Maybe our transcending of all such happenings . . . is to be treated as a kind of ‘repression.’ But it seems to differ from the moralistic kind of repression with which Freud was concerned” (Burke, 1966, p. 67). Thus, Burke sees no “moral” question in the repression of strictly physiological processes that reside in the unconscious. The second variety of the unconscious is the “universal incorporation of the past with the present” (Burke, 1966, p. 72). In this sense, the unconscious functions as a depository of those things that continue throughout history and resurface in the temporally present. In other words, those things that happen prior to the person being a person (their prehistory) come to resurface and shape their cultural norms through discourse. Burke (1966) explained that “many aspects of expression that once might have been studied in terms of rhetorical resources natural to language at all stages of history are treated rather as survivals from eras of primitive magic, ritual, and myth” (p. 68). What Burke (1966) had in mind here was the thought that “any present moment is the ‘Unconscious’ repository of the past, not just as regards some possible ‘primal’ scene or ‘Oedipal’ crime, but in terms of all the evolutionary unfoldings that are somehow summed up in each of us, at his given moment in history” (p. 68). The example that he provides here is the relation between the members of the Supreme Court and the Constitution. Each side in a Supreme Court case has their Constitutionally asserted wish, without explicit reference to the other wishes. According to Burke (1966), “legal conflicts arise because, in particular cases, this ‘id’-like wishing on the part of the Constitution confronts problems of denial. In gratifying one Constitutional wish, the courts must frustrate or ‘repress’ another” (pp. 68-69). The history of the Supreme Court that continues to resurface in the temporally present is a history of “changing choices as regards the hierarchy of such wishes (decisions as to which of the wishes should be given preferential rating), since for better or worse there is nothing in our egalitarian Constitution itself that establishes such a scale once and for all” (Burke, 1966, p. 69). Burke’s (1966) third variety of the unconscious concerns the “recallable but not explicitly recalled. Here also might be included knowledge which one has, but which does not happen to be associated with the given topic under discussion” (p. 72). This refers to all of those things that we “know,” but that remain under the realm of direct consciousness. In other words, this form of the unconscious refers to the stuff in the filing cabinets of our brains that can be recalled upon conscious associations. Burke (1966) distinguished this from the Freudian unconscious by providing the example of forgetting a childhood language: “if one forgot a language that one had not spoken since childhood, surely this would not be a prime example of repression in Freud’s moralistic sense. However, Freud might offer invaluable cues as to why, of a sudden, the ‘lost’ words began turning up again” (p. 69). The fourth variety pertains the “closely related category of dissociation among ‘sub-personalities’” (Burke, 1966, p. 72). For Burke, this is the category of the unconscious where different “roles” are stored. For instance, a person might be at the same time a parent, a brother, an uncle, an alcoholic, a teacher, a bartender, and an athlete. When a person is an athlete thinking about hitting a baseball, they might not be consciously thinking of themselves as a parent. Burke noted that when various conflicts among more than one personality occur, this could be a source of guilt and/or denial. For example, when President Bill Clinton stated, “I did not have sexual relations with that woman” he was acting in his legal persona (arguing over definitions of “sexual relations”) and was ignoring his Presidential persona (supposedly leading by not deceiving the public). In this sense, Clinton was able to deny having sexual relations. His persona when addressing the public was radically different than a legal persona addressing a Federal Grand Jury. Burke did not seek to differentiate this variety of the unconscious as it pertained to the Freudian unconscious, but merely noted it as a variety of the unconscious that exists under the purview of dramatism. The fifth kind of unconscious consists of the “entelechial” kind of “futurity.” Burke (1966) likened this to “certain kinds of observations or conclusions [that] may be implicit in a given terminology, quite in the sense that a grammar and syntax are implicit in a given language” (p. 72). What he had in mind here were the “implications of a symbol system, its ‘future possibilities’ in a purely formal sense. Surely, in this sense, the relation between Conscious and Unconscious is not to be considered as a matter of ‘repression’ in the specifically Freudian sense of the term” (Burke, 1966, pp. 69-70). It is here that Burke likens the syntax of a language that is unconscious to the play of mathematic formulations. He argued that “one can hardly be said to have ‘repressed’ one’s understanding of the propositions that Euclid deduced from the definitions and axioms of his geometry. Rather, we must look upon Euclid as having developed with thoroughness the implications of his position” (Burke, 1966, p. 70). Burke’s (1966) sixth variety of the unconscious refers to “the ‘Ismic’ paradox whereby any terminology that systematically calls attention to a hitherto unnoticed area of speculation by the same token creates a corresponding kind of ‘unconscious’” (p. 72). In this sense, according to Burke, this variety parallels the Marxian distinction between consciousness and false consciousness (class consciousness vs. class unconsciousness). He explained, “By Marx’s scheme, if the bourgeois conceives of all mankind in terms of the bourgeois, said bourgeois has unconsciously represented (or revealed) his bourgeois consciousness” (Burke, 1966, p. 70). He uses this example to merely illustrate that “there is a kind of ‘unconsciousness’ that is sheerly a reflection of whatever terminology one happens to be using” (Burke, 1966, p. 71). The distinction being made here between Freud’s unconscious and Burke’s unconscious is a matter of attention versus repression. Specifically, Burke (1966) draws this distinction by noting that “we here confront kinds of attention that often are not reducible to terms of repression” (p. 71). The seventh variety of the unconscious concerns the “‘intuitive’ recognition that something is as it is” (Burke, 1966, p. 72). This form of the unconscious is discernable in “the weather eye of the weather prophet, the ability to be a ‘good judge of character,’ the mathematical physicist’s ability to ‘idealize’ a problem in a way that affords a solution, the expert player’s ability to make exactly the right adjustments needed for his play . . .” (Burke, 1966, p. 71). He applied this variety of the unconscious to relate to “taste,” “tact,” “propriety,” or “what the Greeks called to prepon and the Latins decorum, and the eighteenth century the je ne sais quoi” (Burke, 1966, p. 71). Burke (1966) noted his separation from Freud’s unconscious in this sense by noting that such “bepuzzlements here are not instances of ‘repression’ in the strictly Freudian sense” (p. 71). The last category of the unconscious was Burke’s (1966) “catchall category” that he labeled “Error, Ignorance, Uncertainty” (p. 71). This category is where he relegates all of those things that are unknown and that cannot be possibly known. For instance, “One may eat a certain contaminated food through sheer ignorance, not owing to any psychological ‘repression’ of such knowledge. One just happens to be ‘unconscious’ of its true nature” (Burke, 1966, p. 71). These are simply all of those things that a person has yet to be exposed to that could not possibly be “repressed” and are thus unconscious to the person. Burke is unclear as to whether or not this last category is influenced by Freudian theory, but we will see a direct overlap between this category and Lacanian scholarship in the next section on the application of Lacanian theory to Burke’s unconscious. This is particularly telling of the larger relationship that Burke had with Freudian psychoanalysis since this observation is homological to Burke’s own corpus. Specifically, is it not also that the Burkeian system of Dramatism has “conflict” permanently “built into” the system? How could Dramatism function without “conflict” as a necessary component? What Burke and Freud share, therefore, is the necessity of conflict as an essential characteristic of their methodological techniques. However, the major difference is that Burke focused predominantly on an analysis of the unconscious to explore the nature and extent of repression in the larger category of “drama,” where Freud was principally concerned with the specific drama in the mind of the analysand. Having a good idea of the topography of the Burkeian unconscious, we need to establish the basic characteristics of the Lacanian unconscious if we are to move toward an application of Lacanian theory to the Burkeian unconscious. Lacan viewed the conscious and the unconscious as distinct, closed systems that work by logics that are different from each other. In other words, the unconscious and the conscious are two parts of the human psyche that do not come into contact with each other without rupture in the logic in both domains. That they are, nonetheless, dynamically intermingled offered Lacan a solution to Freud’s unresolved problem: How can the unconscious think? For Lacan, the answer is via the elusive subject of an unconscious network of signifying representations. Lacan designated this subject by the letter “S” barred thus: $. In other words, the conscious subject cannot speak or think of its unconscious aspects in a unified fashion (Ragland-Sullivan, 1986). This conscious incapacity to grasp the unconscious in its totality is due precisely to both the evasiveness of the unconscious and the rupture to speaking and thinking when the unconscious content comes into contact with the conscious. Lee (1990) observed that if language lies at the heart of Freud’s own theorizing, then, Lacan nevertheless believed that it is crucial for psychoanalysts to be more systematic and, indeed, more philosophical in their reflections on language than was Freud. Lacan’s (1977) own contribution in this direction begins with an unmistakably structuralist definition of the relationship between a language and its elements: “What defines any element whatever of a language [langue] as belonging to language [langage], is that, for all the users of this language [langue], this element is distinguished as such in the ensemble supposedly constituted of homologous elements” (274/63). In other words, language is the formal vessel that sorts and abstracts particular content—or as Brummett (2004) noted, the “content or information” of abstracted language “is what we get we get in the historical, situated, less or least abstracted moment; form is what we get from the more or most abstracted patterns that cut across several historical, situated moments. Homology is a formal linkage among two or more kinds of experience” (p. 39). Lacan (1977) defined the unconscious in essentially linguistic terms as “that part of the concrete discourse, insofar as it is transindividual, that is not at the disposal of the subject in re-establishing the continuity of his conscious discourse” (258/49). In this statement we find that, as far as Lacan is concerned, any understanding of the unconscious is fundamentally an understanding of language, and this means that psychoanalysis is itself a particular way of coming to know a language (that of the analysand) and is thus one of the sciences of the Symbolic. Therefore, Lacan’s description of the unconscious promises to be a valuable site for examining Burke’s concept of the unconscious in Language as Symbolic Action. But how exactly can Lacanian scholarship inform Burke’s conception of the unconscious? Having documented the Freudian influence on Burke’s concept of the unconscious, as well as the features of the Lacanian unconscious, we may now describe the nature and scope of the application of Lacanian theory to the Burkeian unconscious by using Lacanian scholarship to analyze each of the eight characteristics (outlined in the first section of this essay) of Burke’s idea of the unconscious. Before doing this however, we should begin where Burke did with the distinction between action and motion, and then examine the role of the negative in the unconscious. Revisiting the distinction Burke made between action and motion, we find a stark comparison between the human that acts and the computer that moves—that the computer fails in its animality. For Lacan, the reason for this is that the computer does not have an unconscious and it does not share a realm of fantasy (there might be an exception with current advances in artificial life and mega-computers, but these types of advancements were not considered by Burke to constitute a computer in the same way as computer technology functioned in 1966 when Language as Symbolic Action was written). The computer, as Burke conceived it, is a purely Symbolic space in the Lacanian sense. The computer is programmed with characters that come together to form certain images. These are all programmed by the human and will only function within the totality of the computer’s programming. In this sense, the computer merely moves within the circuits that it is programmed with. While things are stored in files, the stored materials function in a more preconscious sense, since they can be explicitly recalled with ease. The computer not only fails in its animality by not having an unconscious, it also fails in its animality because it does not have an Imaginary. Specifically, the computer does not have a fantasy that is hooked on the Symbolic network. Fantasy may be defined as that which “fills the gap between the abstract intention to do something and its actualization: it is the stuff of which debilitating hesitations—dread imagining what might happen if I do it, what might happen if I don’t do it—are made, and the act itself dispels the mist of these hesitations which haunt us in this interspace” (Žižek, 2002a, p. xl). The computer, as Burke conceived of it, does not fill a gap between abstract intention and its actualization because no such gap exists for the computer. The computer merely carries out the act that it has been programmed to carry out. It does not dread imagining what might happen if it responds to your hitting the “enter” key. It merely carries out the command “enter” as the word “enter” is designed to function within its Symbolic network. Therefore, for Lacan, the computer fails in its animality because it does not have a Real or Imaginary register. The three registers (Real, Imaginary, Symbolic) together are necessary to give the ability for humans to act and computers to move. More simply, if Lacan designates the Imaginary and the Symbolic as weak fortresses built to prevent encountering the Real, then we might note that: In Burke’s sense, the Real acts, the Symbolic and Imaginary move. In other words, if no Real, then there is only motion and the human will fail in its animality. Therefore, studying the language of drama includes the ability to contextualize Symbolic language in relation to the Imaginary and Real in the psyche. The inevitability of the symbolic fragility necessitates the existence of the negative as a precursor to attempting to give the symbolic its totality. In this way, the negative that Burke mentions in relation to the unconscious is an always already “weak” negative. That is, for Lacan, repression and the return of the repressed are two sides of the same coin. Žižek (2002a) explained that the repressed content “constitutes itself retroactively, by means of its failed/distorted return in symptoms, in these ‘unaccounted for’ excesses: there is no unconscious outside its returns” (p. 95). The negative is thus “weak” because the negative’s repressed content is known by its returns (as in the case of haunting). If it is the negative that people build their cultures around, then the “abyss” and the “Void” may be identical terms where both are cleared/made possible by the death-drive. In this sense, the moralistic negative is made possible in both the Burkeian and Lacanian systems by affirming a culture of “thou-shalt-nots” in response to the nervousness that confronting such an abyssal existence brings forth. Therefore, the moralistic negative is both “weak” and a product of the Lacanian death-drive. To study language as it pertains to the moralistic negative is thus to place it in the context of the Void/abyss as the original materialist experience. This is also a way to study the connection between language and culture that is built around the abyss. Having touched on the distinction between action and motion, as well as the negative, we may turn to an application of Lacanian scholarship to Burke’s eight varieties of the unconscious. The first variety for Burke entails those physiological processes of the body that are not directly in consciousness. In Lacanian terms, the linkage between the conscious and unconscious parts of the psyche occur in those moments when things go terribly wrong. In Lacanian terms, consciousness occurs with an experience of the Real, of an impossible limit. What is at issue here is the conception of an “original awareness” that “is impelled by a certain experience of failure and mortality—a kind of snag in the biological weave. And all the metaphysical dimensions concerning humanity, philosophical self-reflection, progress and so on emerge ultimately because of this basic traumatic fissure” (Žižek, 2004a, p. 59). We see this in the case of many heart attack survivors. Although some people prior to their heart attacks acknowledge that they probably do not have a healthy diet and exercise plan to delay a heart attack until much later in life, many of these same people do not see a heart attack as imminent. That is, they see it as something that will happen “someday in the future.” However, all of a sudden, they experience a heart attack—the heart fails to function properly or in the expected way. This failure makes them conscious at a very personal level the extent of their health problems. As a result, this newfound consciousness often results in people changing their diets and exercising more frequently after their first heart attack. So the experience of the Real directly informs the way the physiological process becomes conscious and relates with the unconscious. While Burke identifies the physiological processes that reside in the unconscious, he did not attempt to theorize how such repressed content comes into consciousness. More specifically, in terms of the physiological process he did not attempt to theorize the way the unconscious physiological aspects “become” conscious (if they do at all in the Burkeian landscape). It is through the Lacanian “experience of the Real,” that Lacanian scholarship ties the conscious and unconscious parts of the psyche together when it comes to the physiological processes of the body. The “gap” is thus the fundamental precursor to the “universal incorporation of the past with the present” because it “re-Constitutes” the Constitution that is always-already missing in links. Thus, we get the abundance of cases that continue to prove the initial “gap” in the Constitution. The Supreme Court is necessary because the law (Symbolic order) is always lacking. In this way, Burke identifies the universal incorporation of the past with the present as a variety of the unconscious, but does not theorize the relationship between a necessary “gap” in the symbolic as the precursor to the universal incorporation. Nor does Burke have a theory concerning the role of the signifier as connected to the unconscious that sets the incorporation into motion. The third variety of the unconscious that Burke identified was the recallable but not explicitly recalled. The example that Burke provided for this variety is foreign language loss (as when a child learns a foreign language, and then “forgets” it). Aside from the fact that there could be numerous reasons for forgetting a language (i.e., neurological disorders), Burke acknowledges situations where Freud might identify why certain words begin “turning up again” in consciousness. Lacan usually referred to the idea of signifier as articulated speech, whether in conscious or unconscious discourse. There is a Symbolic structure that is organized in a linguistic sense, and there is also the unconscious that is also “structured like a language.” Ragland-Sullivan (1986) explained that “speech traces do accompany the earliest images [for a child]; theses percepta and their effects operate an unconscious network of fantasy relations prior to coherent speech. Once a child can name things, these fantasies serve as a reference bank of memories” (p. 164). This reference bank may be “structured like a language” and are recallable but not explicitly recalled. Take for example the recurring dream of a child that has “forgotten” a language. The child may dream that they were speaking in Spanish. They might even remember “knowing” what they were saying in Spanish while in the dream. However, once outside the dream space, the child may have no recollection of the “actual content” of the Spanish (they may not even recall a Spanish word). In this sense, the child is “able to recall” speaking a different language, but not able to “explicitly recall” what they said in the dream. For Lacan, symbols were not icons, but differential (opposed) elements “without meaning in themselves; they acquire value in their mutual relations” (Ragland Sullivan, 1986, p. 168). When he argued that “the unconscious is structured like a language,” he portrayed the unconscious as a meaning system that was closed, complete within itself, as is the system of language. Thus, while Burke identified this third variety of the unconscious as pertaining to the recallable but not explicitly recalled, he failed to identify the structure of this “recallable” information. Moreover, if fantasies serve as “a reference bank of memories,” then Lacan is able to articulate the barrier that exists between the recallable (in the unconscious) and the ability to explicitly recall (in the Conscious). Burke’s fourth variety of the unconscious concerns the existence of “subpersonalities.” Yet, Burke never attempted to identify what he meant by the term “personality” that would precede the usage of the term “subpersonalities.” Lacan defined the term “personality” to be the characteristic of the human being that is influenced by three things: “biographical development, meaning the way subjects reacted to their own experience; self-concept, meaning the way they brought images of themselves in their consciousness, and tension of social relations, meaning their impressions of how they affected other people” (Roudinesco, 1997, p. 45). If we were to take the proposition of “subpersonalities” offered by Burke, whereby the subject has multiple instances of these three components that conflict with one another, we might find that the realm of the unconscious is the realm where personalities “hide,” only to come out in contingent experiences. Specifically, if the human “personality” is the entire make-up of the person’s biographical development, self-concept, and tension of social relations, then the “subpersonalities” that Burke refers to are constituted by “fragments” of each of the three personality components that appear when confronted with a contingent circumstance. For instance, a parent that disciplines their child may do so by recalling fragments of different experiences that they had where they were disciplined (i.e., a fragment from their parents, a fragment from their school teachers, a fragment from “that one time”) and pitting those fragments against how they see themselves and how they affected other people. All of these fragments may come together to form a specific “subpersonality” to confront the contingent circumstance. Thus, whereas Burke did not explicate the way “subpersonalities” are formed to confront specific circumstance, Lacan helps us approach the variety of the unconscious that pertains to “subpersonalities” in a more explicit manner. The fifth Burkeian variety of the unconscious involves the deployment of logical conclusions that are not yet realized. There are at least two explanations for this in the Lacanian landscape: (1) sensory exposure, and (2) the “symbolic Real.” In terms of sensory exposure, the mind continues to work through the logic of senses because the sensory data can never be totalized. In other words, “our knowledge is literally a Be-greifen (‘seizing’) as synthetic production, the outcome of our mind’s active manipulation of the sensual data we passively receive. For this reason, our knowledge is limited to the phenomenal reality accessible to us as finite beings” (Žižek, 2002a, p. xxv). This is confirmed in the work of cognitivists who found that we literally do not live in the present time: “that there is a certain delay from the moment our sensory organs get a signal from outside to its being properly processed into what we perceive as reality, and then we project this back into the past. So that our experience of the present is basically past experience, but projected back into the past” (Žižek, 2004a, p. 55). Moreover, our consciousness can “only operate at a maximum of seven bytes per second” (Žižek, 2004a, p. 56). Lacanian scholars use this cognitivist research to explain why the mind “deploys the logical conclusions that are not yet realized”—the information is unconscious since the conscious mind simply cannot process it all. As such, there is always the Lacanian “barred subject” whereby the unconscious does the thinking by which “empirical” reality is projected back into conscious life. Specifically, Lacan (2006) advanced the idea that “I (the subject) am in so far as it (the Unconscious) thinks” (¶ 51). What he meant by this is that the unconscious is literally “the ‘thing which thinks’ and as such inaccessible to the subject: in so far as I am, I am never where ‘it thinks.’ In other words, I am only in so far as something is left unthought: as soon as I encroach too deeply into this domain of the forbidden/impossible thought, my very being disintegrates” (Žižek, 2002a, p. 147). Subatomic particle physics…repeatedly encounters phenomena that seem to suspend the principle of local cause, i.e., phenomena that seem to imply a transport of information faster than the maximum admissible according to the theory of relativity…Let us take a two-particle system of zero spin: if one of the particles in such a system has a spin UP, the other particle has a spin DOWN. Now suppose that we separate two particles in some way that does not affect their spin: one particle goes off in one direction and the other in the opposite direction. After we separate them, we send one of the particles through a magnetic field that gives it a spin UP: what happens is that the other particle acquires a spin DOWN (and vice versa, of course). Yet there is no possibility of communication or of a normal causal link between them, because the other particle had a spin DOWN immediately after we gave the first particle a spin UP, i.e., before the spin UP of the first particle could cause the spin DOWN of the other particle way down in the fastest way possible (by giving signal with the speed of light). The question then arises: How did the other particle “know” that we had given the first particle a spin UP? We must presuppose a kind of “knowledge in the real,” as if a spin somehow “knows” what happens in another place and acts accordingly. Contemporary particle physics is beset by the problem of creating experimental conditions to test this hypothesis (the famous Alain-Aspect experiment from the early 1980s confirmed it!) and of articulating an explanation for this paradox. (Žižek, 1992, pp. 45-46). [I]deology is not simply a “false consciousness,” an illusory representation of reality, it is rather this reality itself which is already to be conceived as “ideological”—“ideological” is a social reality whose very existence implies the non-knowledge of its participants as to its essence—that is, the social effectivity, the very reproduction of which implies that the individuals “do not know what they are doing.” “Ideological” is not the “false consciousness” of a (social) being but this being itself in so far as it is supported by “false consciousness.” Thus we have finally reached the dimension of the symptom, because one of its possible definitions would also be “a formation whose very consistency implies a certain non-knowledge on the part of the subject”: the subject can “enjoy his symptom” only in so far as its logic escapes him—the measure of the success of its interpretation is precisely its dissolution. (p. 21). So rather than the Burkeian description of a given terminology as having an “unnoticed area of speculation,” we have the more radical Lacanian reading that this “unnoticed area of speculation” is the very basis for the existence of the terminology. Burke’s seventh variety of the unconscious was the category of “intuition” that includes those elements of “to prepon,” “decorum,” and the “je ne sais quoi.” This category of the “intuition” is a magical entity for Burke. However, for Lacan it is precisely bound up in the paradox of desire. Specifically, this “je ne sais quoi” is the Lacanian “object petit a” or the “object cause of desire.” For example, Žižek (1997) specifically used the terms “object petit a,” “unfathomable X,” and “je ne sais quoi” interchangeably to explain the same concept (p. 23). The Lacanian object petit a is posited by desire itself. According to Žižek (1992), the paradox of desire is “that it posits retroactively its own cause, i.e., the object a is an object that can be perceived only by a gaze ‘distorted’ by desire, an object that does not exist for an ‘objective’ gaze” (p. 12). Žižek (1992) described this in other words by noting, “the object a is always, by definition, perceived in a distorted way, because outside this distortion, ‘in itself,’ it does not exist, since it is nothing but the embodiment, the materialization of this very distortion, of this surplus of confusion and perturbation introduced by desire into so-called ‘objective reality’” (p. 12). More simply, the objet petit a is objectively nothing although it assumes the shape of something. Another feature of the objects petit a is that they are always elsewhere (in a permanent state of displacement) and are thus always objects of excess. A melancholic is “somebody who has the object of desire but who has lost the desire itself. That is to say, you lose that which makes you desire the desired object” (Žižek, 2004a, p. 113). Moreover, the object petit a is directly implicated in the concept of fantasy since fantasy is that which “designates the subject’s impossible relation to a” (Žižek, 1992, p. 6). With all that surrounds the term “je ne sais quoi” as “object petit a,” Lacan created a distinct lexicon for talking about “intuition” in a more descriptive fashion than a simple magical variety of the unconscious. The eighth variety of the unconscious is Burke’s “catch-all” category of “error, ignorance, and uncertainty.” Burke says with accuracy that this category is not a function of repression in the Freudian terminology. While differentiating this category from “repression,” he still maintained that “error, ignorance, and uncertainty” is a variety of the unconscious. However, there is little here to suggest what “all” this category might be “catching” that are not encompassed in the previous seven categories. For instance, Burke used the example of a person being “unconscious” of a type of poisonous food. But this example seems to beg the question of the first variety of the unconscious referring to the unconscious “physiological processes of the body” since it is only though the contact with the food and the “failure” of a physiological process that one becomes conscious that they were previously unconscious of the poisonous food. In other words, the bio-chemical responses of the body to food digestion are conscious of what makes the body work as expected, even though such process may not be in the cognitive processing of the person. When a poison is introduced into the body, the body knows that it has just encountered something that did not fit within its “normal” processing of food. In this way, there is something embedded “in the body” that is not conscious “to the body” which is the unconscious knowledge of the poison (so it reacts by sending its immune system and other defenses to the “poison”). The other example Burke alluded to for this variety is that of a voter who cannot have adequate knowledge for how a candidate will react to a situation with which the person has yet to be confronted. This category thus might refer to the inability to tell the future—that since we are unaware of what will happen in the future, we must be unconscious of it. With the exception of the classical philosophical problem of free will versus determinism, we might find that, instead of this being a variety of the unconscious, it is something that is altogether “non-conscious.” That is, the events of the contingent future irrespective of the sensory subject, are simply not a question of consciousness or unconsciousness unless and until they are “sensed” in the unconscious or conscious. Because this category is a “catch all category” with no articulation of what it might be catching, the category is not useful for the study of language aside from having the function as a place-holder for future developments that might develop about the unconscious that are not related to the previous seven. “Mind, Body, and the Unconscious,” as it appears in Language as Symbolic Action, is part of a paper that was cut considerably to meet the restrictions of a fifty minute lecture. The omitted material from the paper was added in the “Comments” section immediately following the essay. So, having analyzed the main essay, we need to examine some of the further reflections that Burke made to gain a comprehensive account of Burke’s theory of the unconscious and the Lacanian correctives. This section, therefore, will analyze Burke’s omitted comments on the unconscious using Lacanian scholarship to further articulate the application of Lacanian theory to the Burkeian unconscious. In the omitted materials, Burke (1966) reminded the reader that “Freud is so thoroughly Dramatistic” (p. 75). Still, Burke included the originally omitted notes as a critical warning against the analyst’s role in analyzing the unconscious. He wrote that: “Since it is often the case that a sick soul needs to have implicit faith in the analyst, perhaps a concern, no matter how appreciative, with the terministic deployments of the Freudian nomenclature as such threatens to impair the effectiveness of the analyst’s role, with regard to his patient (or customer)” (Burke, 1966, p. 76). For our purposes of delving into Burke’s concept of the unconscious, there are two critical points of concern that he made in his commentary: (1) purpose and responsibility, and (2) authoritarianism. We shall therefore examine each in turn. First, there is the issue of purpose and responsibility when the category of the unconscious enters into discussion. Since the idea of purpose is implicit in the idea of an act for Burke, “repression” takes on “teleological possibilities” (Burke, 1966, p. 76). Burke (1966) explained that “If A hurts B unintentionally, the incident is not an act in the full sense of the term, but an accident. . . . once the element of the ‘unconscious’ is introduced, a terministic situation is then set up whereby we might look for a kind of ‘accident’ that is ‘unconsciously’ an act, in ‘unconsciously’ possessing a kind of purpose” (p. 76). This “unconscious” purpose is that which fails to be expressed. Thus, Burke (1966) advanced the proposition that “Unconscious is to repression as conscious is to expression (or as latent is to patent)” (p. 77). In other words, Burke’s notion of the unconscious in this respect concerns all the mental content that exists but that is not “pressed” out of the body (ex-pressed/patent). Specifically, Burke’s idea here is that if A hurts B, and the expressed/conscious reaction is to call it an accident, then the category of the unconscious beckons forth the possibility that the conscious “accident” was no accident at all. In other words, the category of the unconscious brings forth the possibility that there are no “accidents” and that responsibility for “hurting B” is also always already possible. This radically re-orients the conception of “purpose” in Burke’s lexicon because an unconscious purpose introduces the possibility that a “purpose” is not always rationally/conscious. In other words, a “purpose” cannot be separated between an “official purpose” on the side of the conscious, and a “sub-official purpose” that is on the side of the unconscious. For example, we can look to a common sibling quarrel. When a little boy pushes his little sister, the little boy does not necessarily rationally/consciously intend to make her fall over and hurt her head. When the little boy apologizes to his sister for hurting her head, a parent jumps in and quickly tells him, “Sorry only counts if it was an accident!” The boy is confused because he thinks he did not rationally/consciously think he would hurt his sister’s head, so he makes a plea to his parent, “but I did not mean to hurt her!” The parent responds by stating, “Don’t lie. I saw you push her!” The question of purpose is thus a murky situation in the “expressed” form. That is, the evidence available is that the boy pushed his sister. But why did he push her? What was his “purpose”? He expressed a conscious “official purpose” where he proclaims that he did not intend to hurt his sister. Complicating the “official purpose” statement is that the parent suspects intention on the part of the brother. Is it possible that the boy unconsciously intended to harm his sister? Perhaps there were a series of such behavior that led the parent to suspect that the boy intended to harm her. Introducing the category of the unconscious thus makes purposeful acts always already possible. In this example, it would always already be possible that the boy’s “sub-official purpose” (unconsciously) was to hurt his sister—that it was no accident. The distinction between the “official purpose” and the “sub-official purpose” is rooted in the Lacanian idea of the “obscene unwritten” that supplements any symbolic order. This is not far removed from what has happened in the case of the U.S. war on terrorism. Defense Secretary Rumsfeld (2001) scapegoated responsibility for casualties by stating that “responsibility for every single casualty in this war, whether they're innocent Afghans or innocent Americans, rests at the feet of the al Qaeda and the Taliban” (17th ¶). General Franks (2003) attempted to elude responsibility by framing the innocent in terms of “victims” (that he intends to rescue), not “enemies” (that he intends to kill): “When you begin to do that weapon/target pairing, then you'll begin to look at all of the places where we know we do not want to strike because we're Americans, because we're part of a coalition that treats citizenry like that in Iraq as victims, not as enemies, as the president has said.” Many people believe the idea that the Bush administration did not intend to kill civilians. For instance, a statement by the Friends Committee on National Legislation (2001) stated, “While we know that the administration’s intent is not to harm innocent civilians with its bombing, Afghan civilians have already suffered this unintended effect. Weapons inevitably malfunction, are misdirected, or put civilians adjacent to the intended targets in harms way” (5th ¶). Cannot the same be said about the press conferences of the Department of Defense? As previously noted, that which resists being included in the Symbolic is that the decision to go to war comes with the intent of killing civilians. We can thus see how the “university discourse” and “production” introduce power into Burke’s equation: we are dealing with “objective” knowledge of the war that comes from the Department of Defense which desubjectivizes the subject-citizen by reducing the subject-citizen to an object of research (as in the Department of Defense finds that the public is ailing for security). So, they diagnose the subject-citizen with a “fear of terrorism” and treat it by reassuring them that the subject-citizen is cared for in all cases (no civilian casualties intended) through the elimination of the cause of their dis-ease (terrorists). And, beneath all of this we see the subject-citizen hystericized, obsessed with anxiety, addressing the Department of Defense and asking reassurance from it. The “truth” of the repressed content of the Master is the reduction of people to bare life as the essential kernel that sustains biopolitical power. That is, only a Master that reduces the subject to an object of diagnosis and treatment can claim that “external” effects are “collateral damage” (like the doctor who has “unintended complications” in surgery or “side effects” of drugs). And, reducing the subject to the status of object is the fundamental feature of biopolitical power (the administered life). Second, there is the concern that the apparent freedom of the method deflects from the very authoritarianism at its heart. Burke’s (1966) mention of the unconscious in the post-script makes an argument about authoritarianism regarding the way Freudian psychotherapy analyzes the unconscious of patients. Specifically, he wrote “Though the Freudian terminology, viewed as a ‘philosophy of life,’ does lay major stress upon emancipating the patient, this very feature of Freedom deflects attention from the notably Authoritarian aspects of psychotherapy, in the patient’s subjection (however roundabout) to the analyst’s role of priest of the confessional couch” (pp. 79-80). He continued by noting that “the element of authority is doubly concealed by the fact that the overtly libertarian style of the terminology contrasts so greatly with the authoritarian element explicitly indicated in Fascist, Communist, and theological doctrine (a kind of unconscious deception found also in much contemporary science, that continually appeals to the testimony of the ‘authorities’ in a given field)” (p. 80). Here, Burke’s idea of authoritarianism may be further advanced by Lacanian scholarship on the exercise of authority. For instance, Žižek (2002a) introduced three elementary structures of the exercise of authority as they pertain to psychoanalysis: traditional authority, manipulative authority, and totalitarian authority. Traditional authority is based on what Žižek (2002a) calls the “mystique of the Institution” (p. 249). This type of power is rooted in the charismatic power of “symbolic ritual, on the form of the Institution as such” (Žižek, 2002a, p. 249). This type of authority is seen in the king, the president, the judge, and so on, who can all be dishonest and rotten but “when they adopt the insignia of Authority, they experience a kind of mystic transubstantiation; the judge no longer speaks as a person, it is Law itself which speaks through him” (Žižek, 2002a, p. 249). The Lacanian “plus-One” accounts for this type authority: “every signifying set contains an element which is ‘empty,’ whose value is accepted on trust, yet which precisely as such guarantees the ‘full’ validity of all other elements. Strictly speaking it comes in excess, yet the moment we take it away, the very consistency of the other elements disintegrates” (Žižek, 2002a, p. 250). In other words, according to Lacan, when the charisma fades along with the symbolic ritual, the transubstantiation is lost and traditional authority rapidly fades. Žižek (2002a) called the second elementary structure of authority “manipulative authority” (p. 251). Manipulative authority is that authority which is “no longer based on the mystique of the Institution—on the performative power of symbolic ritual—but directly on the manipulation of its subjects” (p. 251). This is the kind of authority that relates to the “late-bourgeois society of ‘pathological Narcissism,’ constituted of individuals who take part in the social game externally, without ‘internal identification,’—they ‘wear (social) masks,’ ‘play (their) roles,’ ‘not taking them seriously’: the basic aim of the ‘social game’ is to deceive the other, to exploit his naivety and credulity’” (Žižek, 2002a, p. 251). The fundamental attitude of manipulative authority is cynical in the strictest Lacanian sense—the cynic only believes in the Real of enjoyment. In manipulative authority, the cynic preserves “an external distance towards the symbolic fiction; he does not really accept its symbolic efficacy, he merely uses it as a means of manipulation” (Žižek, 2002a, p. 251). The symbolic fiction takes its revenge on manipulative authority when the fiction and reality coincide and the manipulators perform as “their own suckers” (Žižek, 2002a, p. 251). The third elementary structure of authority is “totalitarian authority.” This involves the Lacanian concept of the fetish. Totalitarian authority occurs when people acknowledge themselves as those who—although knowing very well that they are people like others—at the same time consider themselves to be “‘people of a special mould, made of special stuff’—as individuals who participate in the fetish of the Object-Party, direct embodiment of the Will of History” (Žižek, 2002a, p. 252). This type of authority thus occurs when people maintain a certain truth in the face of a fiction—when despite knowing that their reasons are just because, they assert them all the more in the face of this non-reason. In other words, totalitarian authority does not necessarily believe in the Real of enjoyment, but the very maintenance of the symbolic Law itself even though the law is a symbolic fiction. The point in introducing the three forms of authoritarianism is to demonstrate that Lacanian scholarship enables a better reading of the Burkeian unconscious than Burke originally proposed because Lacanian scholarship differentiates between the various types of authoritarianism as they pertain to both the conscious and unconscious parts of the psyche. When we return to Burke’s (1966) statement that, “Freedom deflects attention from the notably Authoritarian aspects of psychotherapy, in the patient’s subjection (however roundabout) to the analyst’s role of priest of the confessional couch” (pp. 79-80), we find that the two forms of authoritarianism (the priest and the psychotherapist) are notably complex. The complication arises because different priests may rely on different forms of authority. The forms of authority applicable here are traditional and manipulative. The traditional priest is the one who, although a sinner (rotten) possesses charisma through the symbolic ritual and undergoes a mystic transubstantiation (dishonest) in order to speak the word of Law itself. Traditional authority is reliant on the symbolic rituals and proprieties since it is the ritual and propriety that defines “priestness.” For example, a priest who deploys traditional authority uses their position of power within the space of the confessional to enact the Law. To do so requires the priest to deny their fallibility, not because in all spaces and at all times the priest believes in their sinless nature. Instead, traditional authority is employed for the sake of the sinner confessing with the goal of gaining adherence to the symbolic Law of the church. However, without the cloak of the tradition that makes possible the transubstantiation (the symbolic ritual itself), the priest is revealed as rotten and dishonest—not worthy of re-presenting the church. Manipulative authority is used for the sake of the non-transubstantiated priest, or the priest in sheep’s clothing. An example of manipulative authority is when a person desires sexual satisfaction from young boys and becomes a priest to achieve his desire. In this case, the “priestness” attained through ritual and tradition becomes the “social mask” to attain jouissance from little boys. When fiction (their status as “priest”) coincides with reality (their sexual escapades made public), their “mask” is removed and they are their own suckers. Even though the symbolic ritual may continue, their authority within that ritual is gone (which, if allowed to continue participation in the ritual, may destroy the ritual itself). The same two types of authority may also apply to the psychotherapist, however Burke’s claim of the psychotherapist as priest of the confessional couch does not take into account the complexities that may occur as a result of the repressed content underneath the masks of both traditional and manipulative authority. And, of course, it is that which is underneath the “masks” that is the domain of the repressed content stored in the category of the unconscious. Thus, Lacanian theory helps to clarify Burke’s observation by detailing the very conditions whereby Freedom deflects from the Authoritarianism of Freudian psychotherapy. In sum, we have surveyed the landscape of the Burkeian concept of the unconscious. We first examined the Dramatistic action/motion distinction and the negative. In analyzing Burke’s distinction between action and motion, we clarified the distinction with the Lacanian psychic registers by noting that the Real acts, and the Imaginary and Symbolic move. We also found that the Lacanian “death drive” clears the space (creates the abyss/Void) which is the necessary precondition for the culture of “thou-shalt-nots” to be advanced in the form of the moralistic negative. We then analyzed the eight Burkeian varieties of the unconscious and explicated the following Lacanian correctives to the varieties: (1) The unconscious of bodily processes that return from the repressed when something goes terribly wrong, (2) The unconscious that constitutes the “gap” as the precursor to the universal incorporation of the past with the present whereby the signifier sets the incorporation in motion, (3) The unconscious that is a closed meaning system, complete within itself (as is the system of language) whereby parts of the meaning system are recallable but not explicitly recalled, (4) The unconscious as the hiding place for “subpersonalities” that only come out when confronted with contingent experiences that exceed Imaginary and Symbolic appropriation, (5) The unconscious that thinks outside of consciousness in order to deploy the logical conclusions that are not yet realized, (6) The unconscious that stores unnoticed areas of speculation that are the very basis for a given terminology (the “leap of faith” for belief to exist), (7) The unconscious that includes the category of “intuition” that results from the objet petit a being permanently displaced/excessive to the Symbolic order, and (8) The unconscious that is altogether ignorant of future contingent encounters. Finally, we examined Burke’s commentary on the unconscious, purpose, and responsibility as well as his idea of authoritarianism as it relates to psychotherapeutic methodology. We found that the category of the unconscious makes it always already possible that there is no such thing as an accident and the implications for responsibility. Therefore, this essay has served the vital function of positioning the unconscious in relation to language as symbolic action/motion that is central to a Lacanian influenced account of the human unconscious. Kevin A. Johnson (PhD, Communication Studies, University of Texas at Austin, 2007; M.A. Communication Studies, California State University, Long Beach, 2002) is lecturer in the Department of Communication Studies and the Director of Research at the Center for First Amendment Studies at California State University, Long Beach. He would like to thank the members of his dissertation committee who helped this essay emerge: Dr. Barry Brumett; (Chair), Dr. Richard Cherwitz, Dr. Dana Cloud, Dr. Diane Davis, and Dr. Joshua Gunn for their thoughtful comments on different versions of the essay. He would also like to thank the reviewers for their insights. Biesecker, B. A. (1998). Rhetorical studies and the “new” psychoanalysis: What’s the Real problem? or framing the problem of the Real,” Quarterly Journal of Speech, 84: 222-259. Burke, K. (1957). The philosophy of literary form: Studies in symbolic action. Revised Edition, Abridged by Author. New York: Vintage Books. Burke, K. (1966). Language as symbolic action: Essays on life, literature, and method. Berkeley: U of California P.
Burke, K. (1970). The rhetoric of religion: Studies in Logology. Berkeley: U of California P.
Burke, K. (1968). Counter-statement. Berkeley: U of California P.
Burke, K. (1969a). A rhetoric of motives. Berkeley: U of California P.
Burke, K. (1969b). A grammar of motives. Berkeley: U of California P.
Burke, K. (1984a). Permanence and change: An anatomy of purpose. 3rd edition. Berkeley: U of California P.
Burke, K. (1984b). Attitudes toward history. 3rd edition. Berkeley: U of California P.
Cheney, G., Garvin-Doxas, K., and Torrens, K. (1999). Kenneth Burke’s implicit theory of power. In Brock, B. (Ed.). Kenneth Burke and the 21st century. (Albany: SUNY Press): 133-150. Franks, T. (2003). DOD news briefing. Department of Defense. Retrieved June 1, 2006 from http://www.defenselink.mil/transcripts/2003/t03052003_t0305sdfranks.html. Freud, S. (1995). The unconscious. The standard edition of the complete psychological works of Sigmund Freud, Vol. XIV. Strachey, J. (Trans.). London: Hogarth. Friends Committee on National Legislation. (2001, October 10). FCNL statement on the U.S. bombing of Afghanistan. Retrieved May 2, 2006 from http://www.fcnl.org/issues/afghanistan/terrorism/stmt_fcnl-afghanistan.htm. Gunn, J. (2003). Refiguring fantasy: Imagination and its decline in U.S. rhetorical studies. Quarterly Journal of Speech. 89.1: 41-59. Gunn, J. (2004) Refitting fantasy: Psychoanalysis, subjectivity, and talking to the dead. Quarterly Journal of Speech. 90.1. Lacan, J. (1977). Ecrits: A selection. Sheridan, A. (Trans.). New York: W.W. Norton & Co.
Lacan, J. (2006). Qtd. in Sharp, M. (2006). “Jacques Lacan.” The Internet Encyclopedia of Philosophy. U of Melbourne. Retrieved July 1, 2006 from http://www.iep.utm.edu/l/lacweb.htm. Lee, J. S. (1990). Jacques Lacan. Boston: Twayne Publishers. Lundberg, C. (2004). The royal road not taken: Joshua Gunn’s “Refitting fantasy: psychoanalysis, subjectivity and talking to the dead” and Lacan’s symbolic order. Quarterly Journal of Speech. 90.4. Peterson, I. (2007). MathLand. MAA Online: The Mathematical Association of America. Retrieved May 1, 2007 from http://www.maa.org/mathland/mathland1.html. Ragland-Sullivan, E. (1986). Jacques Lacan and the philosophy of psychoanalysis. Chicago: U of Illinois P.
Roudinesco, E. (1997). Jacques Lacan. Bray, B. (Trans.). New York: Columbia U P.
Rumsfeld, D. (2001, October 29). War will continue until Americans live without fear. American Forces Press Release. Retrieved June 1, 2006 from http://www.defenselink.mil/news/Oct2001/n10292001_200110296.html. Žižek, S. (1992). Looking awry: An introduction to Jacque Lacan through popular culture. Cambridge: MIT Press. Žižek, S. (1997). The plague of fantasies. New York: Verso. Žižek, S. (2002a). For they know not what they do: Enjoyment as a political factor. 2nd Edition. New York, Verso. Žižek, S. (2002b). The sublime object of ideology. 9th Impression. New York: Verso. Žižek, S. (2003, September 25). Homo sacer as the object of the discourse of the university. Retrieved June 20, 2006 from http://www.16beavergroup.org/mtarchive/archives/001538.php. Žižek, S. (2004a). Conversations with Žižek. Žižek, S. and Daly, G. (Eds.). Cambridge: Polity Press. Zupančič, A. (2003). Ethics and tragedy in Lacan. The Cambridge companion to Lacan. Rabaté, J. M. (Ed.). Cambridge: Cambridge U P.
We might be tempted to view this as a limitation in Freud’s theory because of the failure to chart an aesthetic field. However, this is where Burke acknowledges the limitation in order to work through Freud’s theory to find “what extra-Freudian material he would have to add” in order to more effectively use Freudian theory for literary criticism. While the Burkeian term “the negative” is not in Freud or Lacan’s theory of the unconscious, the concept of the negative may be found in the way both Freud and Lacan psychoanalyze the symptom(s) of the unconscious in language. By “closed systems” I mean to suggest that there are two very different systems operating by two very different logics that, when they come together, wreck havoc on each other. For example, imagine two engines that spin gears in the same direction (i.e., both gears spin clockwise). If the gears from the two engines come into contact with each other, they grind each other since gears must turn in the opposite direction of each other if they are to smoothly function together. The two engines may be a metaphor for the two closed systems from each other. When the unconscious and conscious parts of the psyche come together, they grind each other. The unconscious comes into contact quite often in human life. This may seem contradictory to the beginning of the previous paragraph where the conscious and unconscious are two closed systems. However, an important nuance is that the unconscious is both inside and outside language. The unconscious is inside language in the form of the symptom, and outside of language in the form of the content that is repressed by the signifier. I focus on “animality” here because the unconscious is not uniquely human, and because Burke uses the term in his discussion of action vs. motion. I am not making a claim here about all animals having an unconscious and an Imaginary. However, humans are not the only animals to have an unconscious and Imaginary. For example, the academy award nominated documentary film The Story of the Weeping Camel documents the potential existence of an unconscious and Imaginary in camels. These traits may also exist in other animals including orangutans, bonobos, and dogs. Dread is one of the key symptoms of an imaginary. We might also note here the extension into Lyotard’s theory of the differend. Two competing interpretations over signifiers in the constitution are just that—two competing interpretations. The violence occurs when the stabilization of a signifier is litigated. See Lyotard, J. (1988). The Differend: Phrases in Dispute. G.V.D. Abbeele, trans. (Minneapolis: U of Minnesota P). I am using “they” here as a plural singular pronoun. This might seem a bit clumsy, but is a way of speaking about an abstract person in non-gendered terms. Meaning systems of language are not necessarily closed in a finite way. Each language system may expand infinitely as floating signifiers expand in their meaning. The point here is that the conscious and the unconscious each have meaning systems that are closed off from each other. They are complete only insofar as they are momentarily stable and unruptured, or rather, left undisturbed by contact with each other. The speed of light is exactly 299,792,458 meters per second. This is determined by James Clerk Maxwell’s equations for electromagnetism. Specifically, the speed of light is determined by the value of “с” as equal to the permittivity of free space that is represented in the following formula: с = 1/√ε0μ0. The opposite of expressed is impressed, but here Burke is concerned with the relation between expression and repression.